Hello everyone. I’m back today with a review of another new vape mod. This time we are gonna be taking a look at a new mod by Ehpro which is actually an update of the classic. 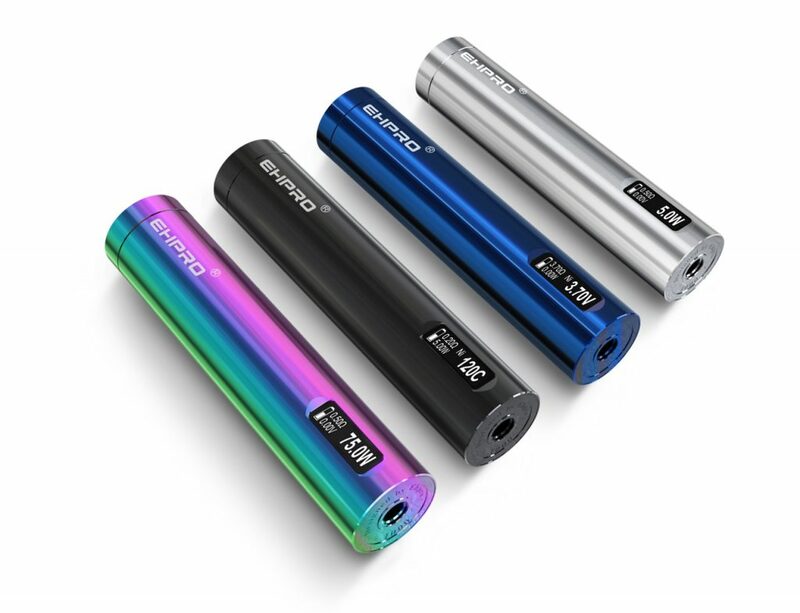 Ehpro 101 Pro 75W TC Mod is a regulated, adjustable tube mod, the latest version of the original Mod 101. 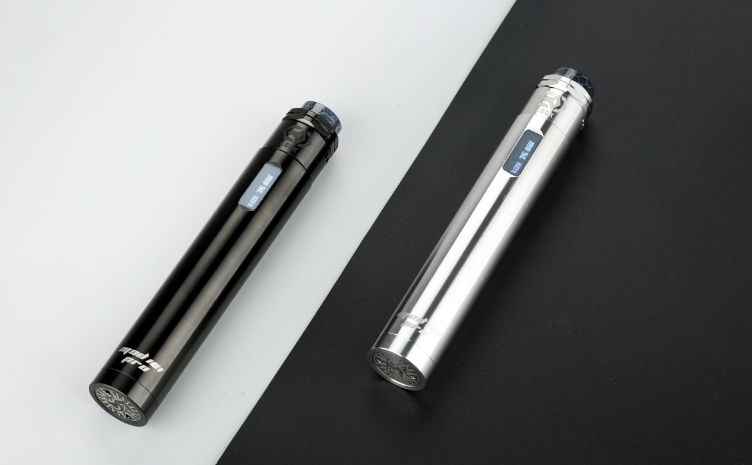 The 101 Pro is a regulated tube mod. 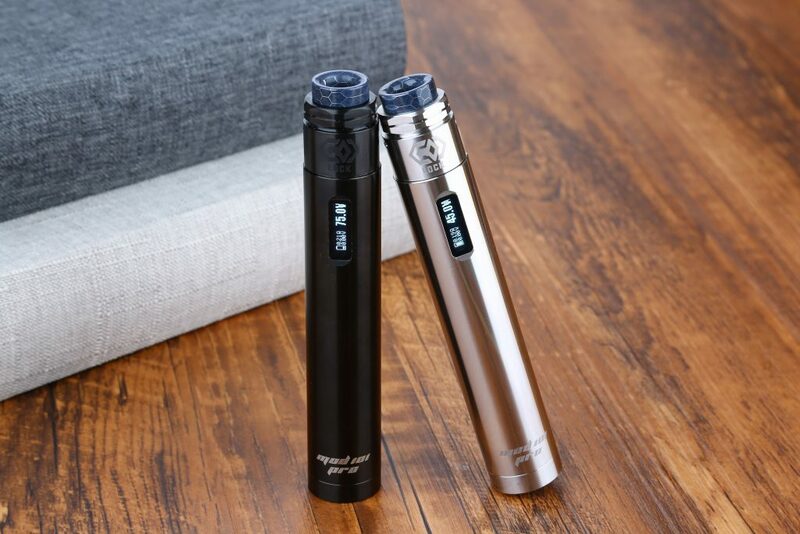 There are quite a few regulated tube mods available, but the 101 Pro has features that separate it from other tubes. Let’s start at the top where the 101 has a gold plated, spring loaded 510 and around that it says “Designed by Ehpro” and has a serial number. 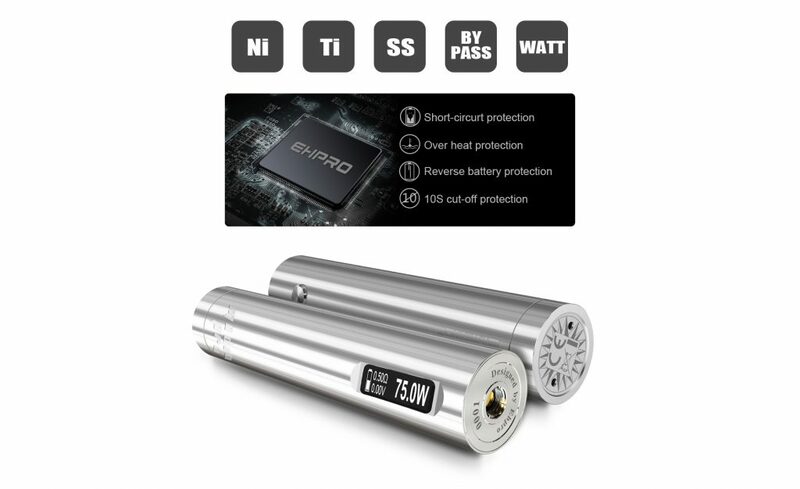 I like how Ehpro has serial numbers for everything they sell. The mod is 25mm wide meaning the top is 25mm wide and will house anything that size or smaller without overhang. Included in the accessories box is a beautiful ring that makes 22mm tanks or drippers go flush to 25mm and its a nice touch. 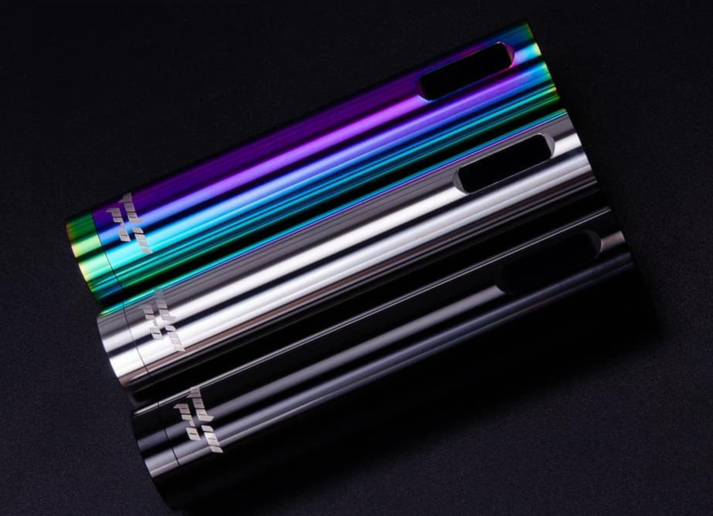 Moving down the side, you find a 0.69-inch screen with a battery meter, ohms watts, and volts or temp depending on which mode you have the mod in. Voltage would appear in power mode and temperature that will appear in TC mode. Directly across from the screen is the one button on this mod. It’s small but protrudes enough to easily find without looking for and has a nice click when you press it and release it. The button also has circular grooves in it for texture like a vinal record. The entire tube has these circular grooves very lightly cut into it for grip even though it feels smooth. Moving down towards the bottom of the mod, Ehpro is written on the side and Mod 101 Pro written opposite of that. The mod has no micro USB port for charging because the bottom is removable to swap batteries. The very bottom is the battery cap. It unscrews to open the battery compartment. The threads to remove this cap are longer than you would think and requires quite a few twists to unscrew but, these threads are well machined and aren’t squeaky or crunchy. 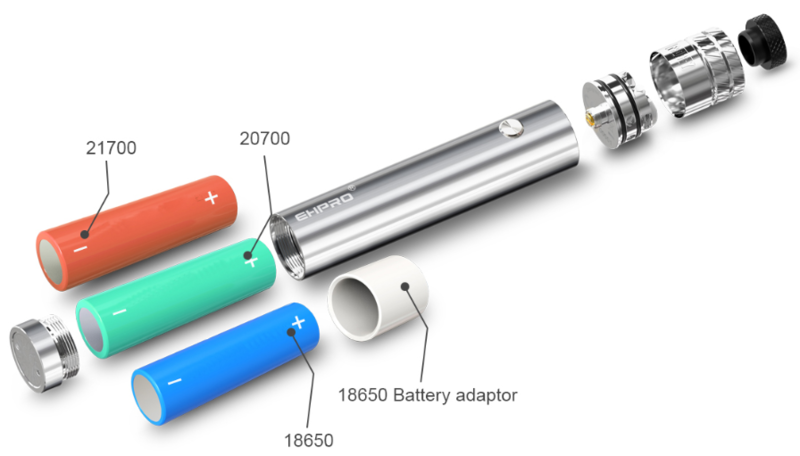 The inside of the cap is marked as the negative orientation for your battery and when you open the compartment the first time, you find your 18650 adapters. I tried dropping a 21700 in when I first opened it and it was sticking out pretty far until I figured this out. The first question I thought to myself after inserting a battery was “how do you adjust this thing”? To have so many features and only one button is a hurdle but, Ehpro found a way to jump over it. Like most mods, five clicks will turn the mod on or off and three clicks will bring up the menu. Once in the menu, one click takes you to the next option and when you want to select a function, don’t press the button for two seconds takes you forward. When selecting your wattage for example, if the wattage is getting higher and you need the number to lower, two quick clicks changes your direction and then waiting two seconds confirms your choice. I’m very impressed with how well they put this system together with only a single button and having TC mode with adjustable wattage and temp. It isn’t overly complicated in person and I was able to figure it out without a menu. Vaping on the 101 Pro has been a great experience. I like single coil tanks and vaping at 35 watts fires up fast and with the right 21700. It will last the whole day on one battery. Setting up TC is easy once you figure out the menu and gives you all the options a full-size mod has. The vape in TC seems the same as power mode once you get it set up. There are few options when it comes to adjustable tube mods and the Mod 101 Pro is a great addition to the group. I have been interested in the original 101 for a long time and I’m excited to see a new version using 21700 batteries. 75 watts is plenty of power in an application like this and having a full TC menu using one button that’s easy to use is impressive. The finish and color of the mod, as well as overall build quality, is great. The only thing that can be considered as a con is subjective and that’s the height and weight. Some might think it’s a tad heavy but to me that makes it feel more solid and well built. It’s also kinda tall but when you take into account all of the stuff packed inside this tube. 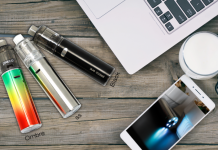 Three battery options, multiple vape functions and well built. In my opinion, it’s definitely worth checking out. Thanks for reading. I hope you enjoyed my review for the Ehpro 101 Pro. I’ll be back soon with more reviews and articles. Daniel Marcus is an vape reviewer, vape photographer and coil builder. After smoking for 16 years, got a vape just because I couldn’t smoke in the company car and ended up quitting smoking without even trying. 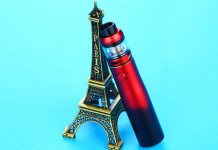 After seeing how effective vaping can be, I’ve spent the past two years trying to help new vapers with beginner problems do they don’t get frustrated and smoke again I’ve written reviews for over a year now. I’ve lived in wv all of my life and like taking vape pictures with a nature backdrop.